Every Wednesday morning the southern suburbs oncology group meet at Vincent Pallotti Hospital in Cape Town. There are between 10-15 of us (surgeons, radiologists, pathologists, oncologists and radiotherapists). We discuss all the new breast cancer patients we have seen during the week and patients who are known to have breast cancer but need a new treatment plan. It is a business meeting rather than an academic meeting. However, the discussion often covers debatable issues and when we need to discuss them in more detail, we have a separate evening meeting to discuss specific topics. 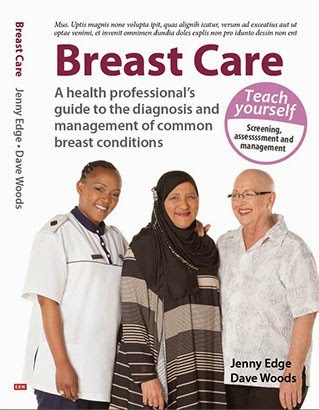 10 days ago, we met at the Wild Fig Restaurant and discussed what staging investigations a woman should have when she has been diagnosed with breast cancer. (The stage of the disease is how far the cancer has spread). Most women with early breast cancer are sent for a chest XRay (CXR) and liver ultrasound but is that more than we should be doing? Are we just exposing women to unnecessary radiation or should everyone go for a CTScan of the chest, abdomen and pelvis? If the CTScan is normal, should they then have a bone scan? We reviewed the current literature and the consensus was that women with very early breast cancer probably shouldn't have any staging investigations. If the cancer has spread to the lymph nodes in the armpit then at least a CXR and liver US should be done. Let me know what happens in your centre. Did you find that having a CXR and liver sonar made you feel better? Please share your thoughts. Immediately after the cancer diagnosis, I found myself in an extremely scary and unknown world. The worst part was when they were scanning and x-raying to check for the possible spread of the cancer. Even though it was the scariest part of that day, I wouldn't have it any other way. Knowing that it hadn't spread to my lungs, liver, etc, was important information for me to have. It confirmed to me that we had caught it early enough... and that knowledge gave me hope. Thank you for the wonderful work that you do!